Anyone struggle here with being organized? If so, I’m (sorta) with you. You’re probably wondering why I’m doing this blog post since ALL I talk about is how organized I am. I share my planner with you guys, how I decorate it, how much is planned and the whole thing. Well… I’m going to let you in on a little secret! 1. I don’t have it all together 2. I’m organized, but only when it comes to certain things. 3. I’m still learning how to be organized all the time, not just sometimes. It physically pains me to write this as funny as that sounds, but it does! I TOTALLY get on my high horse sometimes when everything is planned… for the week. Then Saturday comes and I’m frantic thinking about the next week and what needs to get done. Not only that, but recently I’ve been forgetting important things. Twice in the past two months have I had work on a night and the family texts me to reconfirm the sit and I’m like… I’m working tomorrow night? Since when? This isn’t in my planner? Both times were 100% my fault. I agreed to work and then NEVER wrote them down! Lucky for me, both nights I had no plans so I was able to play it off and show up to work just fine. But that just isn’t like me at all! Getting into a daily and weekly routine is something I want to get better at, because I already have one it just really needs improvement. Normally I would give tips and help YOU guys get organized, but we’re in this together this time. I have a few that I’m interested in trying/have been practicing that I’m going to share, but I want to hear what YOU guys do to keep it together and what you’re practicing, especially since the new year just hit and we are all in the mode to do so! My Erin Condren Planner is my holy grail, and the one time I lost it I actually felt lost in life, lol! This has everything in it— my appointments, my work schedule, our plans, important dates, numbers, you name it it is in inside. Until I become an actual mother, this is my baby! I always try to make things fun so adding decorations like stickers and fun colors are what gets me excited about this. Every. Morning. You will hear my alarm clock go off and then hear me get out of bed about 30 minutes later. I purposely set my alarm for earlier since I know myself and I need that time to just lay in bed and be awake. I will admit though, it is a terrible habit. Like I said, writing this out and admitting this is painful ha! Getting out of the habit of laying in bed has been really hard, especially since we are in winter and my bed is just the coziest thing ever in the early hours of the day. I’m old school and I use an actual alarm clock— yes, you read correctly. I use a clock that isn’t my phone for an alarm. Crazy right? I’ve been thinking about switching to my phone lately and instead of having it next to my bed, putting it on the opposite side of the room so I’m forced to get up. Having an actual alarm clock has made it easy to just press a button and roll back over, so in this case I would be having to physically move. Ugh. Another terrible habit! I grab my phone as I’m ready to wakeup, and then fast forward 30 minutes and I’m rushing to get ready and out the door. I could easily waste all day being on my phone and starting my mornings off with it has made mornings more bumpy then they need to be. Deleting my phone time and having self control- meaning no Instagram and other social media apps are gone in my mornings! This has helped my mornings be more calm and also not as rushed. This may be just me, but I also feel more motivated and refreshed not looking at it. Sometimes it can be a comparison game and I get caught up in the morning and then I’m instantly unmotivated for the day. Looking at all of this later has been helpful for getting up and starting my day. I’m all ears! I want to hear about what you are doing to get organized in the New Year’s and hear your resolutions. I talked about mine here and here so now it’s your turn! Leave me a comment or shoot me a DM over on Instagram and let’s chat- goals, resolutions, or we can just complain to each other about how hard adulting is—let’s be real! And that’s just a few of the things! Of course, I hope all of these plans happen, but God’s plan is always greater. So as a little disclaimer and side note, I truly believe he is in full control of what goes on, but a girl can dream right? All things WEDDING. As you can tell, based off a majority of the plans, they all revolve around wedding related things. The parties, the honeymoon, moving in together, and the actual wedding itself. We are truly in the mode now that holidays are over and things are starting to settle in. I only have a few more months left of sleeping in my own bed by myself, having my mama cook me dinner, coming home to my whole family, and a lot of other things. As I said yesterday, all of this truly is bittersweet. Stay tuned for my Wedding Diary #2 blog post coming up soon! Other than wedding related activities, starting life out as newlyweds is definitely on the agenda! Our first home, our first married holidays, and some really fun date nights. Two of our friends in our bridal parties are getting married back to back, so celebrating LOVE will be a ton of fun. Ok now to get to what you want answers to. Expanding our family! Where we are living yet is not yet decided, but we have toured plenty of apartments and that is definitely going to be our style of home. Depending on where we end up, and the rules, Tim and I definitely want to expand our family with four little feet. Dog or cat, we are open to either and are planning on rescuing a furry one to become apart of our family. We can’t predict the future though, so this may not happen (all depends where we end up!) but our hopes are high. I’m giggling because these goals sound familiar. Probably because they are on everyone’s list for goals, and because they are on my list every year… and they only somewhat get accomplished. This year though I’ll have my forever partner to keep me accountable, and some of these goals NEED to be accomplished, it’s not just a want anymore. Tim & I planned our one year anniversary trip already (I’m such a planner) so we need to start saving for meals, excurisions, and all those extra things! We’ll be going to England, Scotland & Ireland for 2 weeks for our one year so luckily we have plenty of time until that comes around, but I have a feeling it’ll sneak up quick. Health, health, health. Since graduating high school this has been something so hard for me to keep up with. Growing up I had it EASY and I totally took that for granted. My mom made all my meals for me- breakfast, lunch & dinner. I pretty much always had a balanced diet and of course I danced 24/7, so that was my exercise. After high school was over I was on my own for breakfast and lunch, and dance was no more. I got so many injuries in high school, that I just made the decision to stop because I was honestly tired of the whole getting hurt thing. I thought taking up going to a gym would be easy, since I went to dance class my whole life. Turns out it’s actually really hard and I have no self motivation- lol! Now that Tim and I are (soon to be) on our own, it’s our goal to make fitness happen TOGETHER. This entire time we’ve gone through phases of working out together and it never, ever lasts. “What time do you get off work?” “Ok I’ll do this, this and this, then be over.” “So after we workout we both need to shower and then figure out dinner and drive to your house then back and then we’ll relax.” Exhausting, right? We spent SO much time coordinating where we were meeting up, driving back and forth to each other’s houses, then wanting to get cleaned up, that by the time we were done it was 8 o’clock and we pretty much went our separate ways around 9. Our goal is that living together will cut out all the time we used to spend coordinating, since we’ll be at one place and we’ll already be home and have everything we need. While we talk about this often, we laugh because it sounds like such a luxury and I’m honestly really excited to get into that routine, and also cook up recipes in the kitchen! Sunday routine… another really big hassle. While not living together before marriage was 100% our decision, it has had a lot of cons that I’m excited to be done with. Being in the same place will make it a lot easier to get up, get ready together and go to church and have our day to prepare for the week ahead. Our days will look a lot like praising the Lord, grocery shopping, meal prepping, and relaxing. Schedule is KEY to how my life works so to be able to have our Sundays together is everything my heart desires! Sunday + Church + Tim + Prepping + Quality Time = Happy Danielle. Well friends… we’re only in the first day of 2019 and I already feel filled with joy. Excitement. Love. Just a few of the words to describe this year. I feel very blessed sitting here writing this blog post, talking about all the wonderful things that are happening in my life for 2019. But as I look back on last year, exactly a year ago from today, this day was filled with sadness. Confusion. And a lot of unknown. The beginning of 2018 I can confidently say was the first time I ever felt hopeless. So today, as we rejoice in this new year, I ask that you keep those in your prayers who have that feeling today. Take a look around and hug your loved ones tight. And most of all, rejoice! Holy crap, 2018 is over! For me, this is how this year went: Jannnuuuaaaryyyy, Febrruuaarrryyy, MarchAprilMayJuneJulyAugustSeptemberOctoberNovemberDecember. The beginning of the year I swear felt like a year in itself, and the rest of it just flew by. When the New Year comes around, I like to do a recap of the year and reflect. Remember all that happened- the good, the bad, and the ugly. In 12 months so much can happen, and I think the idea of “a year” is actually really cool. It holds potential, opportunity, mystery, and unknown all in one. As we say goodbye to 2018 and leave it behind, I hope you all end this year with a grateful heart and an open mind. Here’s a 2018 recap of what happened over here. warning: brace yourself for some low quality photos as I deleted all of our travel pictures since I print them and put them in an album, so these are pictures of pictures. better than nothing! It started out with a bang, that’s for sure. New Year’s Eve will forever hold a terrible gut feeling for me, quite possibly for the rest of my life. We (as in my family and I) were supposed to be getting a full nights rest because we were heading to the world famous Rose Parade in Pasadena the next day. Instead, we spent it at the hospital, hearing the heart wrenching news that my Dad had a brain tumor. And then, 2018 all of a sudden became a nightmare. My Dad was then diagnosed with cancer, and it has been a roller coaster ever since. January consisted of practically living at a hospital, tissues being our new best friend and all sorts of feelings. 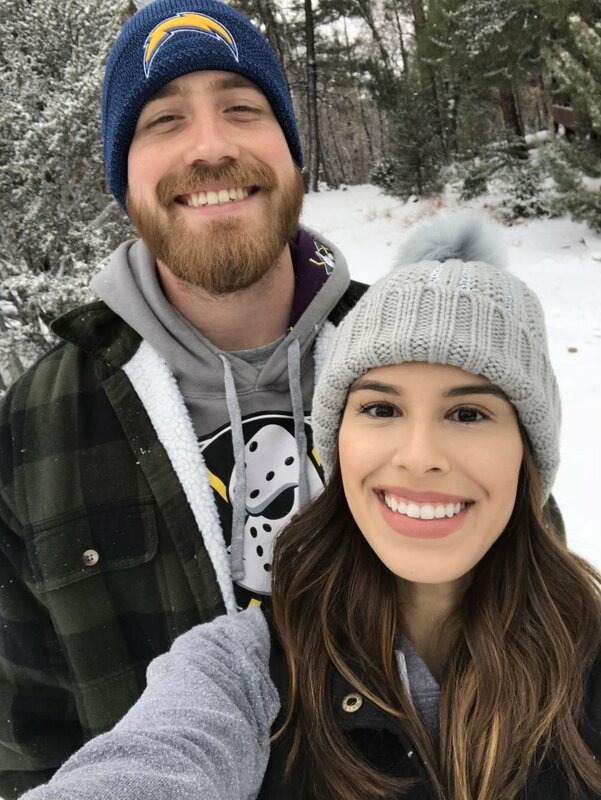 I was lucky enough to be able to escape for a weekend, and go with Tim’s family to Big Bear. I saw snow for the first time, and it was absolutely magical. It was the getaway I needed after a long and miserable 3 weeks. Since the beginning of the year was such a s*** show, March was the first month where things were actually calm. No travel plans. No activities besides our Disney date nights here and there. We were adjusting to our new normal of my dad being home and no longer working, and really just settling in to a new life. March was probably the only month of the year that I got to take a breather & sit back, well for the most part. 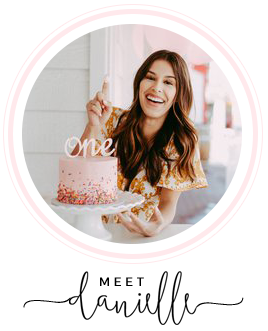 My one year blogiversary took place on March 7th, and I celebrated all month long here on Danielle Alana with 4 huge giveaways, a fun photo shoot and loving on all of you. I still pinch myself that this hobby of mine is seriously a dream come true! Tim and I were talking about getting married WAY before our one year anniversary. Also, way before my Dad got diagnosed with cancer. After announcing our engagement, a lot of people thought we were “rushing” to get married since my dad was sick. We laughed about it because in reality, the end of 2017 we were already talking about 2018 being the year we get engaged and planning on getting married June 8th, 2019, which is happening! Tim was saving up for my ring and I was doing my research WAY before he popped the question. When May came, I was doing venue research and the one I really wanted for our date had already been booked. I was shocked, so we actually started doing some planning in May to get (super) ahead of the game. Besides doing some planning on the side, May was the month that I decided to jump into essential oils. I’ve been using them for quite some time now and I LOVE them. I’m even more excited to start using them in my own home here in a few short months! June is such a special month, and I think a majority of you know why. June is the month of our anniversary, and this upcoming year will be our wedding month. We will be getting married on our dating anniversary, so we have one special anniversary to celebrate— June 8th. 2018 we had our first anniversary and went to Catalina Island for the weekend. We got a golf cart, saw as much as we could, walked pretty much the entire island, laid out on the beach, and enjoyed heavenly ice cream. Oh, and I cried on the way there and back because I was having major motion sickness. Good times :) After our weekend getaway, we RELAXED because July started our crazy travel plans and we were about to be on the go non-stop for about 2 months. This is where our year really picked up. 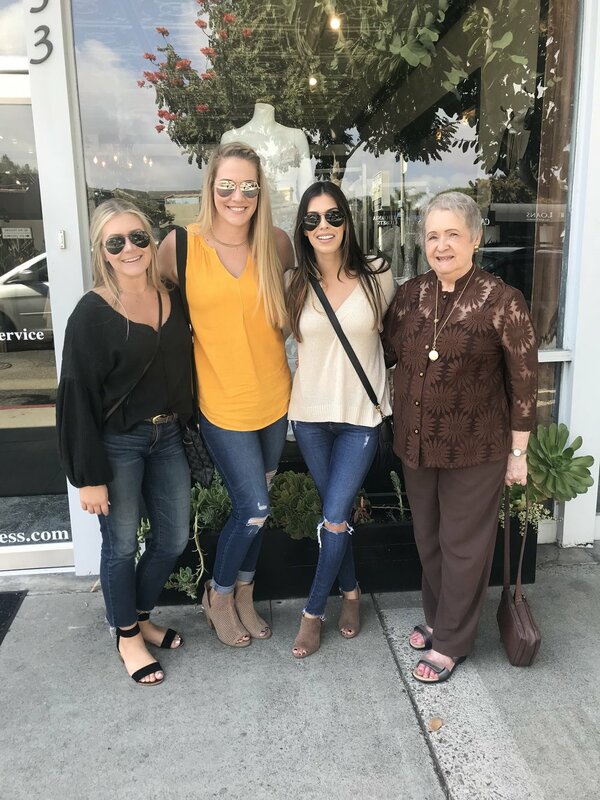 Fourth of July we spent together for the first time, since in 2017 I was in Hawaii with my nanny family. The following weekend we went on our first cruise together for the Schlueter Family Reunion. We went to Ensenada and back, drank way too much and stayed up way too late. We had one short work week and then we headed out to Palm Springs to celebrate my 21st birthday! I still can’t believe I’m only 21, but it is pretty cool I will admit! Feeling like you’re 25 but actually being a couple of years younger. Not a bad thing, right?! After getting back from Palm Springs, we had about one weekend to relax before our butts were back on a plane. Tim turned 24, and we headed out to Kentucky for 4 days. Another state was crossed off and not only that, but it stole our hearts. Tim and I have been throwing around the idea of moving out of state, because Orange County and California in general is EXPENSIVE. Even though it is random, it has everything we want and our looking for. Not to fear though, Tim and I will be in California for at least a year longer, and then we’ll see where life takes us! After day dreaming of a life together outside of California, we came home for 5 days and then hopped on ANOTHER plane. This time, to Costa Rica. 10 straight days in literal paradise with Tim’s entire family (minus his one sister + family) and it was nothing but heaven. We were adventurous to say the least! We went tubing down a river, zip lining through the jungle, and white water rafting in the wild. Since high schools been over, I haven’t really seemed adventure and I’ve definitely been more calm. I stepped way out of my comfort zone and had the time of my life. I immediately hopped on wedding dress shopping since I knew that was the next priority! I went with my mom, sister, god mother, Tim’s mom, grandmother, and sisters to two dress shops to find the one. Lucky for me, it was the VERY FIRST dress I tried on. I have my bridal consultant Lisa as my witness, who will tell you I said it was the one before I even left the dressing room. When I went out to show everyone I said it was the one and pretty much everyone was speechless! My dress is truly my dream wedding dress and I can’t wait tot show all of you come June! I also collaborated with Essense of Australia which you can read here, and believe it or not… the dress I chose was this brand! Sydney and I played dress up at Deborah’s Bridal for a day and it was so much fun. Other than wedding festivities, Sydney and I went and saw our favorite comedian John Crist down in San Diego and he did not disappoint! I originally wanted to go to Las Vegas for my 21st birthday back in July, but since it was the summer and a lot of things were happening in the city, prices were insane! We instead went in November to celebrate mine and Tim’s cousins birthday and brought the Costa Rica gang. I got to see Celine Dion in concert which was HEAVEN. Then we explored the night life for about two hours until it was time to go to bed, ha! I hadn’t been to Vegas since I was in third grade so it was total new experience this time around. That concluded our traveling for the year and we got excited thinking about the next time we’ll be on a plane, which is for our honeymoon! Shortly after returning home from Vegas it was my Dad’s 70th birthday. This was a special birthday since none of us were sure at the beginning of the year if he was going to make it to this point. We went out to dinner with some of his siblings and enjoyed the company of everyone. Then just a few days later got back together to celebrate Thanksgiving! Still crazy to me how next year will be our first married one. Since we live in Orange County, Disneyland is our neighbor— and we are lucky enough to have annual passes! A Disneyland Christmas is unlike any other experience, you really just have to go to understand. We got the Schlueter family all together to enjoy a day together and it was the perfect day. We all expected it to be packed, but instead we got on a ton of rides (thanks max pass! ), enjoyed Goofy’s kitchen (first timer) and got front row seats to the parade. December is a busy month, so I’m really happy we were able to fit this in with everyone and get a full day at the happiest place on earth! The festivities continued with Tim’s work party the next Friday and that was a first for the both of us. I’m a social butterfly, so I really wanted to go last year but Tim insisted on waiting until we were engaged… and getting to know people around the office ;) Cozy nights in are our favorite so we drove around the famous Brea neighborhood to see STUNNER Christmas lights! If you’re in the area, you should definitely go down Santa’s Lane and see the whole thing. It’s an entire neighborhood that has become a huge tourist attraction due to the amount of lights and decorations that go up. It’s remarkable! Being a nanny, December is one of my busiest months of the year. Everyone and their mother has a date night, work party, gift exchange, you name it. Last year I made the mistake of overbooking myself, and Tim and I barely got to see each other. I switched this year and only took a minimal amount and left some weekends open so I could have some time to enjoy the holidays myself with family and of course Tim. The week before Christmas was hectic, as we were both behind on our Christmas shopping. We were the crazies going shopping and buying everyones gift last minute… lesson learned for next year. Schlueter Family Christmas takes place the Saturday before Christmas every year, and the whole gang gets together to celebrate. By the whole gang, I mean Tim’s Grandpa and his two brothers entire bloodline. All of their kids, plus the spouses, kids, and those kids kids. I’m dizzy just thinking about it. Tim is German so this night includes a lot of food but also Christmas caroling in German. My part during this is listening and eating all of the yummy dessert, ha! Then the crazy business finally dies down, and the most wonderful day of the year is here. The Lord, Our Saviors, birthday. We spent it with both sides of the families and took in that this was the last Christmas morning we would be spending separately. Next year, and the future, holds waking up together in our own place with eventually our kiddos running around. How crazy to think that this big life change is less than a year away already. 2018…bittersweet. Literally the best word to describe it. We suffered from major wanderlust and traveled all over the world. Probably the most I’ve ever traveled in a year. I hit some huge milestones for my blog, and it just keeps getting better. We got engaged, and wedding planning is in full force. My dad was diagnosed with cancer, and with God’s grace he is still with us today. 2018 had a rough start, but I’m stepping back today and really reliving the moments that made me feel most alive. Whether 2018 was your best year yet, or you couldn’t wait for it to be over, a new year is upon us. I pray over each and every one of you that 2019 is filled with love, big dreams, and happiness. I’m skipping an intro today because you guys have A LOT to go through! I rounded up the stores that I shop at all the time and am giving you all the deals and my picks right here. Everything you need to know is listed down below, and by clicking the pink highlighted links or scrolling through the carasouel and clicking on an image it will take you to that item directly. If you’re new around here, Danielle Alana DOES use affiliate links! By shopping through them I make a tiny commission. So a very BIG thank you to those that do— it means the world to me! I will be available for you all day so DM me, comment here, comment on my photos and I will get back to you as soon as possible for any questions you may have. I hope you all had a Happy Thanksgiving, and happy shopping! linked below is the life planner I use daily, my address book, my notebooks and everything else that I use from Erin Condren! Deals already applied to items.